Now the current era is being so much advanced that you can easily get information on your finger tips. You can also access news, playing games and many more things with the help of internet. With the help of social networking sites you can keep in contact with your old friends as well as make new friends also. 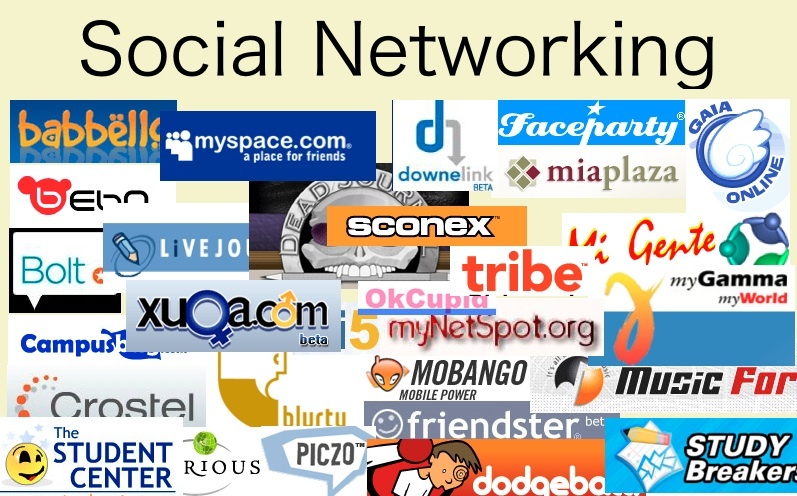 Teenagers are more excited to these networking sites as it can't be wrong to say that they are totally addicted of these. Here we are providing you the Top 10 Social Networking Sites In The World by which you can easily remain in contact with your old as well as new friends or with your family. It is the topmost networking site in the world by which you can keep in touch with your friends as well as your family members. It is a unique way to chat with your close ones. You can update your status according to your mood, post photos, videos, albums, playing games and many more. You have to just open your browser and type facebook.com on that. After that sign up there and fill all your personal details. Add contacts from their id or use searching techniques for this. Twitter is also a most popular networking site and easy to access. Even mostly celebrities tweet their message and write the blogs. To make Twitter in your need sign up to twitter.com and apply the same procedure as above. When you have twitter account you can use post service and post messages. You can also invite your friends to write on the twitter. You can built your own contacts and invite your friends to receive your tweets. It is also a social networking site by which you can keep in contact with your loved ones. You have to be at least 14 years of age to register on MySpace. Firstly create your profile and then join your friends there and enjoy talking with them. It is an online business networking site by which you can deals in your business also. It is a professional networking site by which you can find your job, discover sales lead and connect with your business partner. You can also update your photos, videos, friends on LinkedIn. It is the second networking site in United Kingdom (UK). It is free to create an account on Bebo. It offers you almost all features as other networking sites. This site connects you with your all friends and your family members. As you can also upload your photos, videos, and share what you want to say with your friends. Friendster was one of the first website to bring it in mass culture. It is also the same as all. You can keep in touch with your friends and family members by sign up. You can share your blogs, details through Friendster. Hi5 is also a social networking site by which you can connect with your friends. It is mostly popular in foreign countries like Japan, Sweden, UK and many more places. You can also book your restaurants, party loans etc on Habbo. NING is a leading platform for organizers. NING safe your personal account more than others. It takes the idea of group to the whole levels. It is different from all other social networking sites. It is a payable site and you have to pay according to your length agreement to become a member. Shorter term agreement results in higher cost per month as vice versa.